On October 1tth, Nordstrom launched “Pop-In @ Nordstrom,” an ongoing series of themed pop-up shops in eight Nordstrom stores and online at Nordstrom.com. First up: an homage to all things French with ‘French Fling,’ featuring a hand-picked selection of French-inspired goods ranging from designer duds to colored pencils to one-of-a-kind clutches and more. The Pop-In @Nordstrom series is the initial project by Olivia Kim, Nordstrom Director of Creative Projects, who joined the company in February 2013. With each new theme, Kim will fill the shops with a curated collection of her coolest finds, including exclusive and limited-edition items. Each pop-up shop will have a custom-built shop-in-shop set. The design for French Fling is created by Rafael de Cárdenas of Rafael de Cárdenas/ARCHITECTURE AT LARGE, a commercial and residential architecture and design firm known for its fully immersive environments. 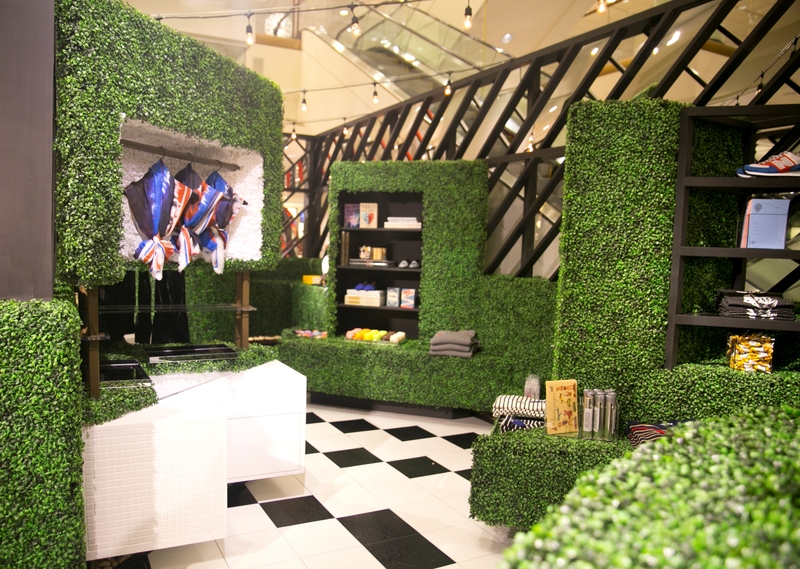 “The shop-in-shop suggests a Paris urban garden with niche Parisian products hidden within, a lot of it unavailable elsewhere in the US…a garden of delights, so to speak” said de Cárdenas. 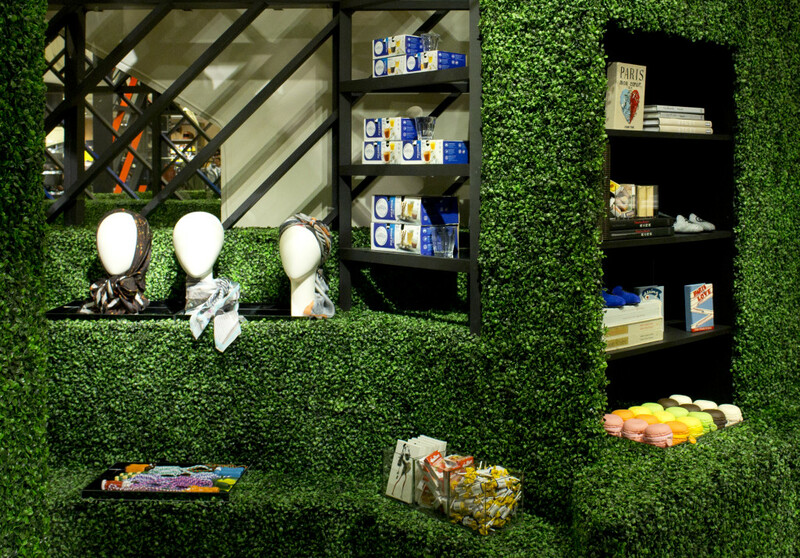 Nordstrom also partnered with influential creative firm M/M Paris to create special branding for the Pop-In shops. The first round of pop-ups was inspired by Kim’s visit to Paris for Fashion Week in March – she led Pete Nordstrom on a tour of the city, introducing him to her favorite bakeries, restaurants, flower shops, book stores, and spots to shop. The trip inspired Kim to bring her favorite places and products from Paris to Nordstrom customers back home in the U.S.
What products will be available at Pop-In @Nordstrom? The merchandise available will include: exclusively designed limited-run Olympia Le Tan book clutches, traditional Saint James boat shirts with custom-designed embroidered patches, vintage handbags, jewelry and accessories, Repetto ballet flats customized with metal charms, exclusive Kenzo sweatshirts, Rodarte tees and hoodies, and Distributed Art Publishers books on French design, as well as home and gift items from Paris-based retailer Merci. French Fling will open on October 10th until November 10th in the select Nordstrom stores below and at Nordstrom.com.